“At what point shall we expect the approach of danger? By what means shall we fortify against it? — Shall we expect some transatlantic military giant, to step the Ocean, and crush us at a blow? Never! — All the armies of Europe, Asia and Africa combined, with all the treasure of the earth (our own excepted) in their military chest; with a Buonaparte for a commander, could not by force, take a drink from the Ohio, or make a track on the Blue Ridge, in a trial of a thousand years. “Dozens of regiments had set up impromptu around Fort Corcoran, on Arlington Heights. Every day these canvas congeries trembled like leaves in the wind as fresh rumors of an impending Confederate attack. 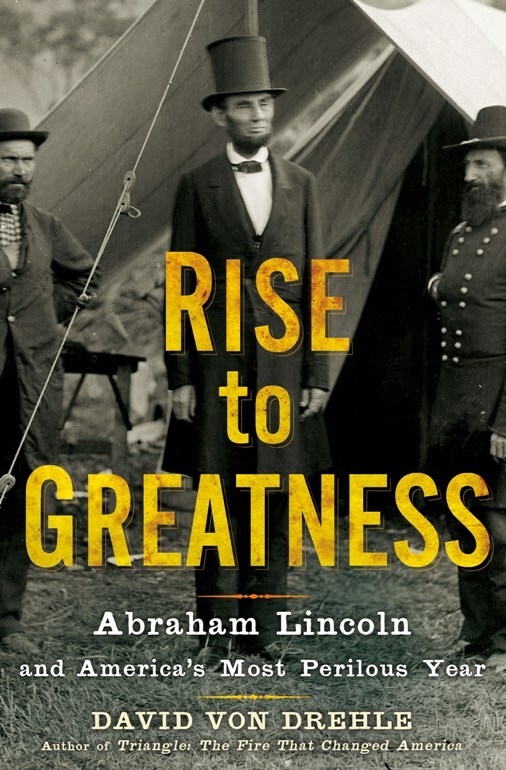 And every day Lincoln heard fresh stories of demoralized troops, mutinous regiments, poor discipline. Some regiments were entitled to – and clamoring for – an immediate discharge, their ninety-day service complete. The War Department’s officers seemed to busy for the burdensome task of mustering them out. Unchecked, however, mutinous sentiments could spread through camps like a virulent disease. Lincoln decided to see for himself, and Seward went with him. A few days after Bull Run, they rode across the Potomac in an open carriage on an impromptu visit to the troops. What greeted them was redoubts spreading across the landscape, tents sprouting like mushrooms in nearly every direction, dusty roads, a cross-hatching of cart tracks, men milling or lolling about, few signs of order or purpose. Yet the District, on edge for its safety, has more than enough men to defend it – if the men chose. Sherman got into the carriage, giving the driver directions to a camp at the top of a small hill. Sitting next to Lincoln, he asked if the President intended to speak to the men. “I would like to,” said Lincoln. Sherman said he no objection to that, but he did not want cheering, “No hurrahing, no humbug. We had enough of it before Bull Run to spoil any set of them.” None worse than the 69 th New York, filled with Irishmen angry at not being discharged. Sherman had rebuked one of the officers of lax discipline. Lincoln bent forward. “My lad, if I were you, and he threatened to shoot, I would not trust him, for I believe he would do it!” The troops, until then sympathetic to the officer, howled with laughter.